No, centrist Democrats did not tank the Kansas special election for liberals. But the race demonstrated that the party’s central rift is not going anywhere. James Thompson lost to Republican Ron Estes in the special election to replace CIA Director Mike Pompeo’s old congressional seat. Democrats on Tuesday achieved something extraordinary in Kansas’ 4th District special election, though you wouldn’t know it by watching the intraparty sniping that reached maximum force before voting had even concluded. 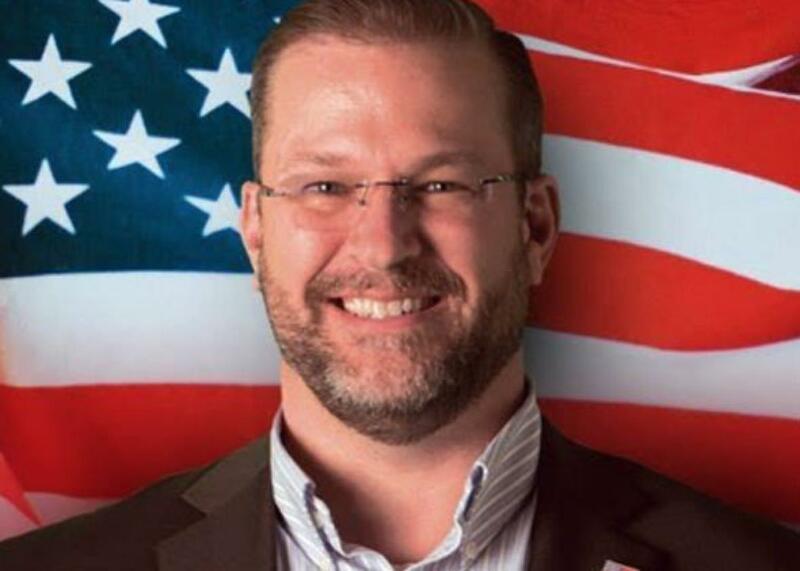 James Thompson, the blue-collar Democratic candidate in the race to fill CIA Director Mike Pompeo’s old congressional seat, lost to Republican Ron Estes by a modest margin of 6.8 points in a deep red district. Pompeo had won the seat by 31 points in November. That’s a 24-point Democratic improvement in the district in a matter of months. The final tally was close enough to leave many progressives wondering why the Democratic Party, and specifically the Democratic Congressional Campaign Committee, barely lifted a finger to help Thompson. The DCCC made thousands of phone calls in the final couple of days of the election but otherwise kept its distance from Thompson. The committee didn’t even link to Thompson’s campaign on its website. (It’s doing at least that much for Jon Ossoff, the party’s candidate in the upcoming race to replace Health and Human Services Secretary Tom Price in Georgia’s 6th District.) The Kansas Democratic Party, too, turned down an early request for $20,000 from Thompson’s campaign, citing a shortage of funds. (It ultimately chipped in $10,000.) The primary source of a last-minute surge in donations to Thompson was through grass-roots site ActBlue as part of a push from outside progressive groups. The excuse the DCCC—and the Democratic consulting class at large—have been peddling is that keeping its involvement below the national radar (i.e., not getting involved) was the only way to win such a red district. A DCCC official told the Huffington Post on Monday that “the party’s involvement would have been ‘extremely damaging’ to Thompson because it would have been used against him by Republicans, who have poured significant money into the race.” If the national party had made a big show of the race, per the argument, it would have awoken the traditionally red Kansas electorate to turn out at normal election levels. The most logical explanation for what the party was actually thinking is that the DCCC didn’t think a race in a red-state red district that Trump carried by 27 points was the best use of limited resources or a seat worth building unrealistic expectations over. This isn’t a sign of Democratic establishment nefariousness, as some on Twitter have suggested. The DCCC’s job is to make difficult choices about which races are winnable and worth investing in, and Kansas’ 4th does not normally jump to the top of that list. “We have to all acknowledge that those seats are held by Republicans and they’ve been held by Republicans for quite some time,” Rep. Denny Heck, the DCCC’s recruitment chair, said during February’s House Democrat retreat regarding its involvement in a series of four spring special elections. To Heck’s point, Kansas’ 4th has been Republican-controlled for more than 20 years and Georgia’s 6th—former Speaker Newt Gingrich’s old district—has been in GOP hands for nearly 40. Rob Quist, the Democratic candidate for Montana’s at-large seat, has been getting the same silent treatment Thompson got (though has had far more success crowdfunding), while the South Carolina special election to replace Office of Management and Budget Director Mick Mulvaney won’t come until June. “We’re going to be very realistic about these four congressional districts,” Heck said, “while nonetheless talking and reaching out with people who’ve indicated interest and see if, in fact, they demonstrate the key principles and characteristics of viability.” It’s a cautious approach, but one that would have been hard to fault just a couple months ago—especially as these committees have to rebuild their war chests ahead of the midterms. The special election the national party has deemed viable is the one to replace Price. Democratic candidate Jon Ossoff, a 30-year-old former congressional aide, has raised an astounding $8.3 million dollars to compete in the April 18 election, which will head to a June runoff if no candidate surpasses 50 percent. The reason the DCCC determines this race to be more winnable is because, on paper, it clearly is. The fresh new edition of the Cook Political Report’s Partisan Voting Index lists Georgia’s 6th as an R+8 district and Kansas’ 4th as an R+15. More importantly, this is a district that Trump only carried by 1 point over Clinton, 48 to 47. In the 2012 presidential election, Mitt Romney carried it by 24 points over President Obama, 61 to 37. Georgia’s 6th District is a textbook example of the sort of district—highly educated suburbs, basically—that should trend toward Democrats in the Trump era and through which their most straightforward path to a House majority lies. The Democratic strategy there is also a textbook example of everything that the Sanders coalition hates about the Democratic Party (eschewing working-class districts in favor of suburban professionals) and the raw basis of the fury it expressed Tuesday night. The Sanders wing thinks the more durable, coherent, and necessary path for Democrats is to build a working-class party across racial lines. The Democratic Party establishment, meanwhile, recognizes suburban districts populated by professionals—who might view Trump as vulgar and unstable—as their more likely pickup opportunities. Both sides are right. This isn’t a tension that’s going away anytime soon, and it’s one that will only make the rift the party experienced in 2016 more visible.